You'd think that selling homes in Cabot Cove might be difficult--our murder rate is through the roof!--but I'll tell you mes amies, everyone, just everyone wants to move here. Which makes it nice for me since I'm the premiere real estate agent in town. C'est vrai! Don't believe me? Just ask our local celebrity. That would be Jessica Fletcher, of course, also known as J.B. Fletcher. She's a world-famous mystery writer, but down at Loretta's beauty shop (below), where I'm a regular customer, she's just one of us girls. Jessica, of course, in the chair. 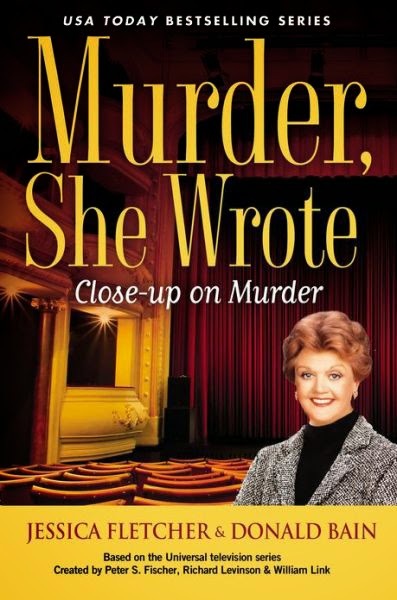 I have appeared in several of Jessica Fletcher's "Murder, She Wrote" television shows, but you really get to spend quality time with me in her latest book, Close-up on Murder. A movie company comes to town, and of course they wanted me to be in their picture in a featured role. After all, I'm a bit of a celebrity in Cabot Cove myself. Ask anyone down at Mara's Luncheonette or at the post office. The name Eve Simpson is synonymous with glamour and sophistication. When I brought in my resume and head shot, the casting agent recognized my talent immediately. 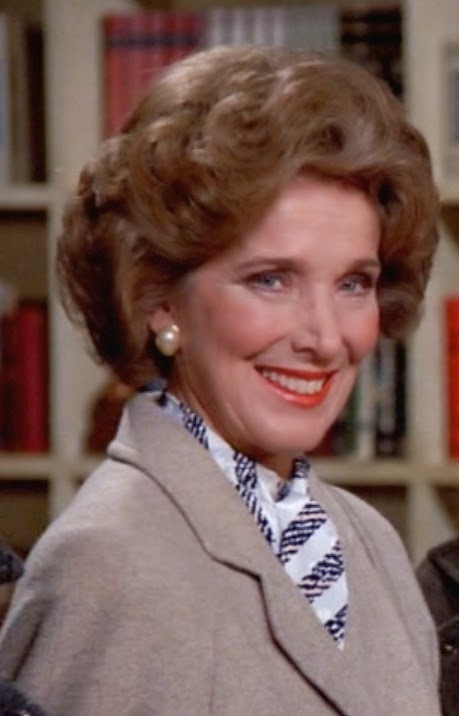 Loretta Spiegel thought her contribution to the film was more important than mine--the production people used her beauty shop as a set. They completely did over her decor. I thought she was going to have a cow when they threw out her pink curlycue divider, but she had to admit, the shop did look a lot better by the time they were finished with it. Anyhow, if you must know, this is why I didn't become a movie star. I learned my lines and showed up to the set when I was supposed to. They put me in an important scene, standing right next to Mayor Jim Shevlin. (He's a nice looking man, but he's already married. Too bad!) And then they just stood around for hours with nothing getting done. Can you believe it?! I told the producer that I'm an important woman in Cabot Cove. I can't twiddle my thumbs while they fiddle with the lights. He said something I won't repeat here. Even though he had nice shoulders (must come from lifting all that heavy equipment), I had to let him down. I know you're disappointed, too. I told him I was afraid I was just too busy to grab my fifteen minutes of fame on the screen. It's a shame. I probably would have added just the perfect soupçon of what the picture needed, after they lost their leading lady. So do you have any handsome gentlemen friends you'd like to introduce me to? 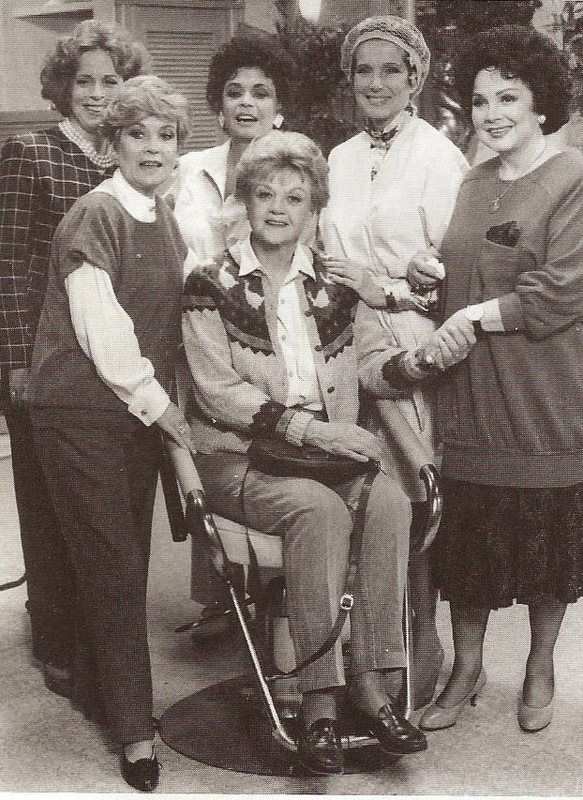 2014 marks 25 years of “Murder, She Wrote” in print. There are 40 books in the “Murder, She Wrote” series with three more in the hopper. The books, original mysteries that have never been televised, are by Jessica Fletcher, a fictional character, and Donald Bain, a real-life one. Next month, look for Aloha Betrayed, in bookstores April 1. So naughty of you to notice. Still, have to keep up my looks! Sorry, Eve. Don't know you from Adam. And I think your soupçon has gone cold. Haha, I'm pretty sure I'd warn all the men I know to stay away from her! Sounds like a great character for Murder She Wrote book. Eve was a regular on the show and she plays a good role here with lots of lines. She always wanted to be famous. I always forget this is Jessica writing. This time I thought--Renee was in a movie?? Hahaha! Great slice. Actually, this is Eve writing. She made her second or third appearance in this book. Thanks Debbie. Hope you enjoy it. Appreciate you all stopping by. (Hear that southern accent? Bet you didn't know I was born in Virginia.) Colony ladies are the best! So sweet of you to say so, Maura. Thanks for recognizing my star quality.